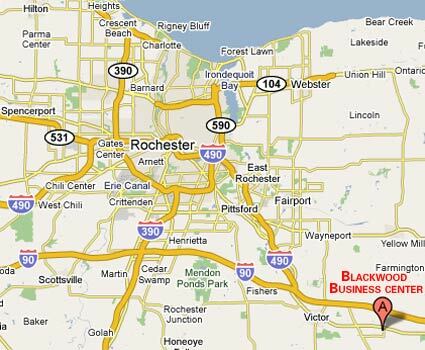 Blackwood Business Center is conveniently located in the fast growing community of Farmington, Ontario County in Western New York State. 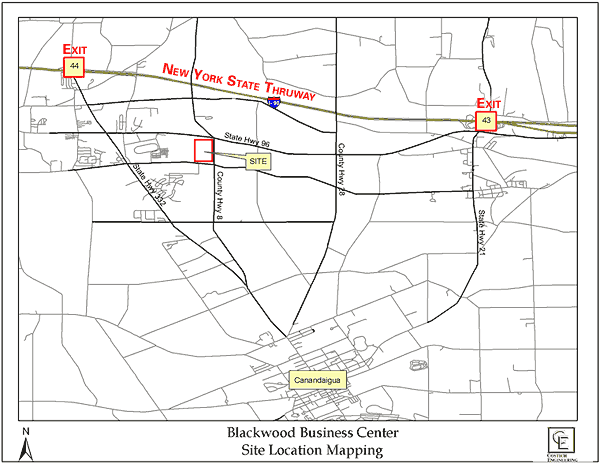 Just minutes from the busy Route 96 and Route 332 intersection and exit 44 of the New York State Thruway, the business park is 10 minutes north of Canandaigua and less than 20 minutes east of Rochester. It is located 12 miles from the City of Rochester in the heart of Upstate New York. Credit Rating: Aa1 Rated by Moody’s. This is higher than all but 3 of 51 NY counties rated. Ontario County is a member of a nine-county consortium whose industries export more than $14 billion worth of goods per year to some 150 countries – more than all but six states!